Are you wondering how much painting services in Concord, New Hampshire cost? Pricing varies, of course, but if you’re looking for a solid painting contractor in Concord at a price that is fair, you’ve just found them! 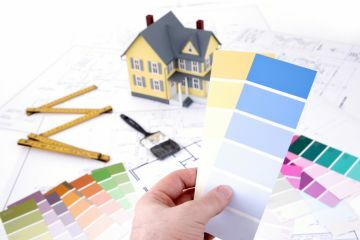 At MF Paint Management, LLC, we like to assess the scope of the job at hand before quoting a price. We believe every painting job is unique, just as every surface is unique. Whether you want a price to paint the exterior or your Concord home or just touch up the trim and front door, we'll assess the work requested and readily give you our best price. We treat every painting or staining job as if our reputation depends on it (because we know that it does). The pride we take in our work shows in everything we do, but giving all our customers value for money is very important as well. While you might be able to find a cheaper painting contractor in Concord, pricing generally reflects skill level and quality. We know you won't find a higher quality Concord painter with the great pricing MF Paint Management, LLC can deliver! Once you’re happy that we have considered all aspects, we'll then calculate the cost to paint your Concord home or office building. We'll provide you with a free written estimate as soon as we have it, although we don't like to rush such an important task. The quote you receive will be based on a range of factors, including the required timescale, the nature of the work and the caliber materials you are looking for. For example, if you wish to change the color of your home’s exterior, in Concord the cost will be a bit higher than if you wish to stay close to the current color. Wherever possible, we will work within the confines of your budget, but we'll always be honest and upfront with prices. We will guarantee this: MF Paint Management, LLC always strives to complete work on time and within the established budget. Once we've given you a written estimate, you can take it to the bank! Our experienced Concord painting contractors are not only highly skilled and conscientious, but they provide painting services in Concord at a great value. Over the years, we've successfully completed just about every imaginable type of painting project. There is no painting job we can't take on successfully. While we don't claim to be the cheapest painting service in Concord, we honestly believe we're the best. Call (603) 556-7557 and you will be in touch with a team that values attention to detail and building trust. We never cut corners to save time or money. Our reputation (and your home) is simply too important to us. If you are looking for a Concord painter for a cost-effective and high-quality job, call (603) 556-7557 for the best painting value in the area.